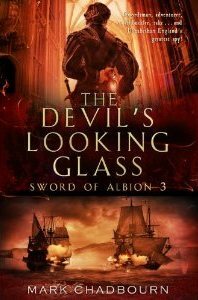 Lou Anders, my editor at Pyr Books in the US, has done a brief round-up of some of the amazing reviews I’ve been getting in the US for The Silver Skull – out in the UK under the title The Sword of Albion, from Bantam, in May. To say, I’ve been bowled over by the US reception would be under-stating. Lou has been working up the catalogue copy for the follow-up book, which will be announced in the US soon. In fact, it looks like there’ll be news of the sequel before the book is even out in the UK. There’s also a new review of the The Silver Skull out today here. Enough blowing of trumpets. “Blowing trumpets” indeed.I think you deserve a full orchestra sounding off at you for those glowing reviews I`ve just now read. They are relating exactly what all your fans already know,well:You`re a damn fine writer with a gift for building and creating characters you could meet on the street or in a pub.Believably flawed real people trying to get by and adapt to an apparently hostile and unpredictable environment.I can only comment on the few books I been lucky to discover by serendipity and damn good fortune.I ride along with the story,holding on tight, and observe the real growth and change of personalities as the pages turn , personal adversity and the trials and tribulations of a fallen society in flux; magic waxing as technology is on the wain.What I personally love is the idea of the excepting of individual responsibility as one of the redeeming forces that drives the plots I`ve read.